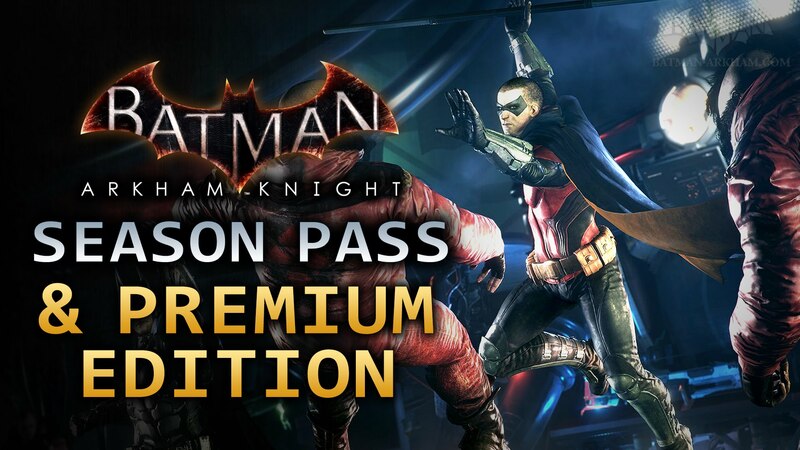 Batman Arkham Knight Premium Edition is a pack that comes with the original game Batman Arkham Knight (digital format) along with the Season Pass for Batman Arkham Knight, which will provide access to a lot of extra content: New missions and villains, legendary Batmobiles , maps, movies and more ... It also includes access to the character of Batgirl and the DLC "A matter of family". Batman Arkham Knight is the next installment in the acclaimed Arkham series, set in the city of Gotham and where our hero Batman will face all kinds of villains and dangers. The Season Pass which includes this Bundle, provide new content every month for six months, with new missions, story mode, more villains that invade the city of Gotham, new Batmobiles, advanced challenge maps, skins alternatives for Batman and the new tracks operable careers. A luxury pack if you want to fully enjoy all the new experience that will bring the new Batman Arkham Knight. Instant Delivery! Available Languages: EN, DE, ES, FR, IT How to activate on your ..